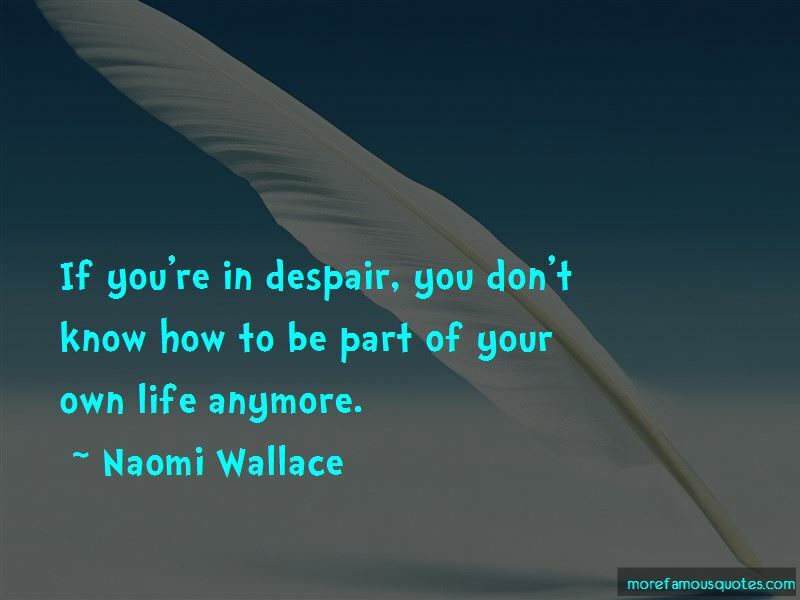 Enjoy the top 4 famous quotes, sayings and quotations by Naomi Wallace. If you're in despair, you don't know how to be part of your own life anymore. 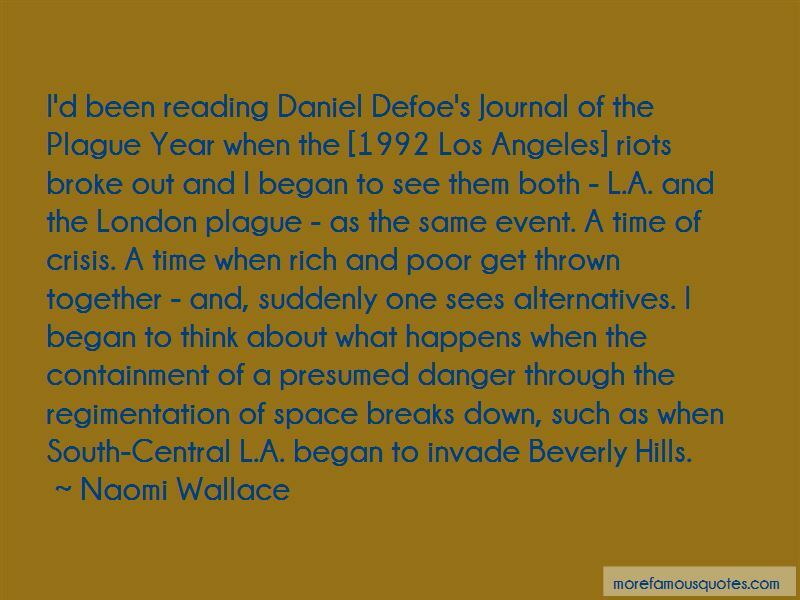 I'd been reading Daniel Defoe's Journal of the Plague Year when the [1992 Los Angeles] riots broke out and I began to see them both - L.A. and the London plague - as the same event. A time of crisis. A time when rich and poor get thrown together - and, suddenly one sees alternatives. I began to think about what happens when the containment of a presumed danger through the regimentation of space breaks down, such as when South-Central L.A. began to invade Beverly Hills. I'm interested in the way that the language of labor has been suppressed in our culture, the way it has disappeared from our vocabulary and is never heard on stage ... I'm better at writing than I am at organizing [political action]. SLAUGHTER CITY is my small contribution. If it gives people a voice it is worth something. So often we forget what we are no longer hearing. 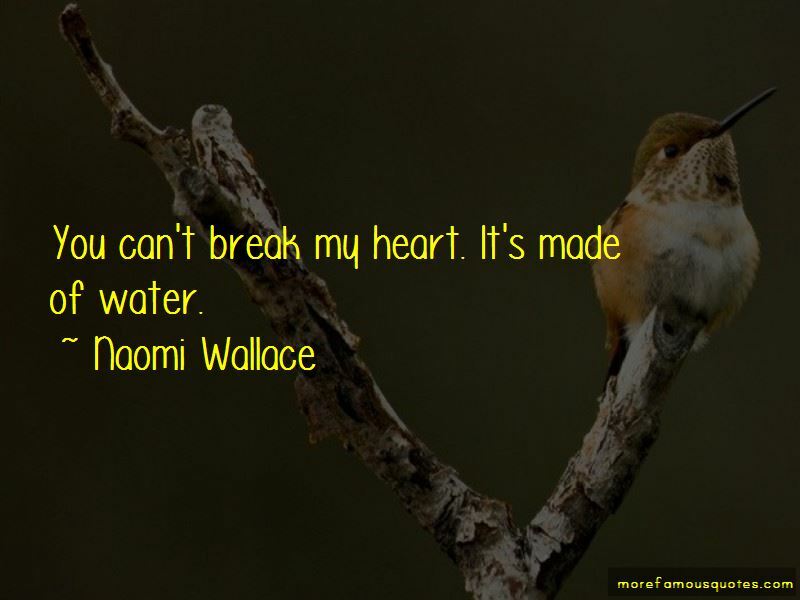 Want to see more pictures of Naomi Wallace quotes? 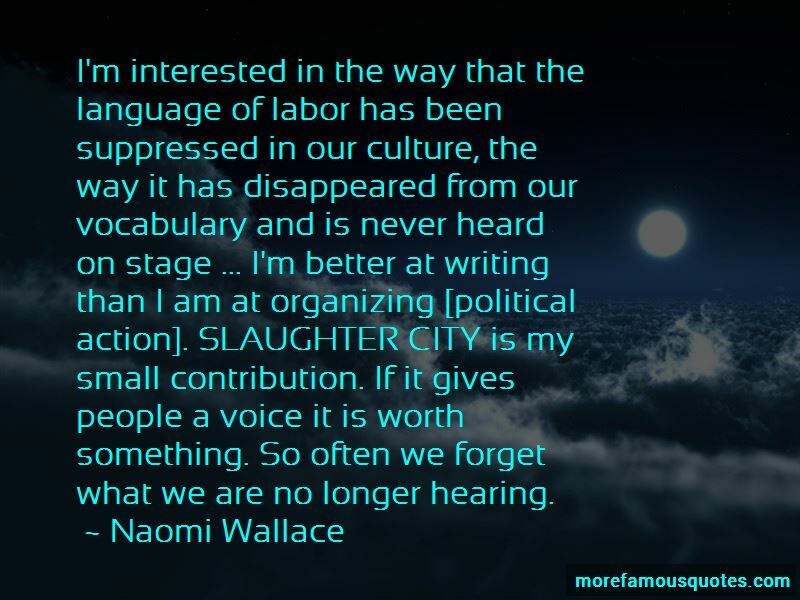 Click on image of Naomi Wallace quotes to view full size.